The e-horizon Business Communication Engine (BCE) is designed to help the mobile operator to successfully explore the high ARPU enterprise segment. By providing a complete e-channel go-to-market model, the BCE addresses mobile operators’ traditional challenge of reaching corporate subscribers through expensive distribution channels. Traditional limited and expensive corporate sales and distribution channels are no longer needed and the volume constraints usually implied by such channels are completely removed. The BCE includes classic features such as VPN and VPBX solutions but reaches far beyond such legacy solutions. 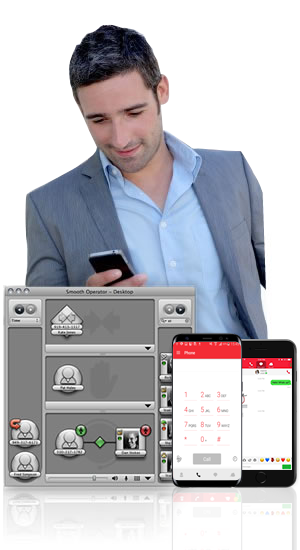 The e-horizon BCE integrates smartphones with the mobile network through the Junyverse Mobile Soft Devices and allows mobile extensions with alien SIM cards to be added into the corporate solution. Thus the BCE service provider obtains revenues also from competing operators’ mobile phones. The e-horizon BCE is a mobile industry game changer. The BCE is also flexible and the mobile operator can apply multiple business models, which allows both post-paid and prepaid users to be added as mobile extensions. Through the Moviestar-Me function, the BCE also provides an option for mobile operators to re-use the basic single extension corporate service in the consumer high-ARPU VIP segment. This VIP profile service can be used to increase subscriber volume beyond corporate mobile subscribers.